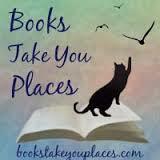 Book Nerds Unite: A Sharing is Caring Giveaway! Tis the season…and all that jazz. You know how it goes. The holidays start (earlier and earlier these days) and it is all about giving. Well now it is time for some getting. 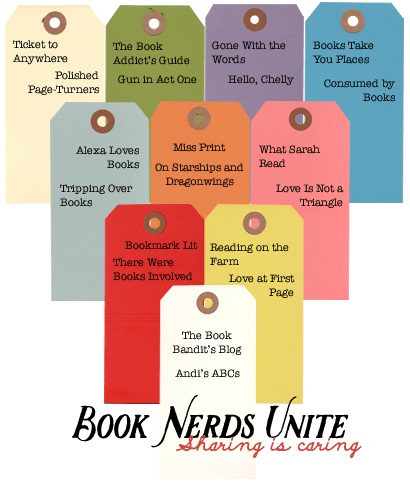 With the help of 19 other bloggers we bring to you, Book Nerds Unite, a Sharing is Caring giveaway! Here’s a little backstory for you: Andi — of Andi’s ABCs — got this fantastic idea after seeing so many fashion blogs give out high-value items for giveaways, she brainstormed and thought it would be a good idea to let us book bloggers dip in to the fun! She contacted some lovely bloggers to inquire if we would be interested and I am so happy to say that we have a wonderful group here putting together something extra special for YOU! Each blogger has pitched in to bring you not one but TWO top dollar prizes for one exciting giveaway event! It runs from 11/24/14 to 12/11/14. Winners are selected at random. PLEASE don’t mark a blog as followed if you haven’t in fact followed. All entries WILL be checked as we are putting together this giveaway just because we want someone to win this awesome prize, so please don’t take advantage of the generosity of these other bloggers! ❤ Happy giveaway, happy winners! Happy Holidays, and good luck friends! This entry was posted in Giveaway and tagged blogger, bloggers, book blog, Giveaway, Giveaways, Holidays. Bookmark the permalink.